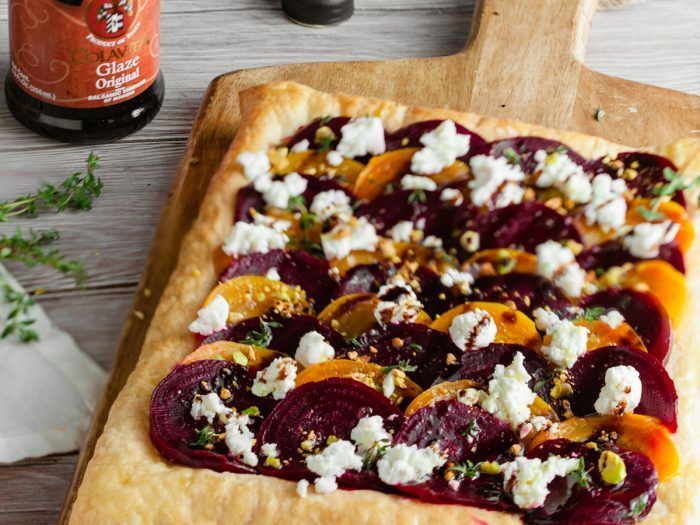 Tri-Colored Beet TartWhether you're making this for a Galentine's Day brunch or just for yourself, this tri-colored beet tart is both colorful and tasty! 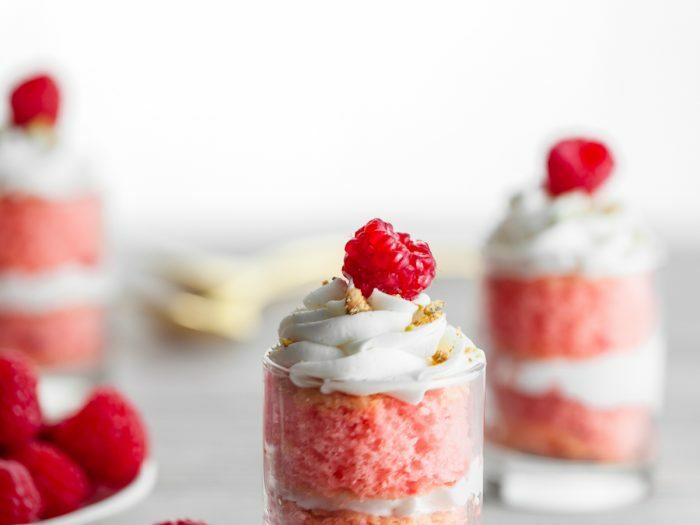 Raspberry White Chocolate TiramisuClassics need updating now and then, right? This raspberry tiramisu with white chocolate is a wonderful twist to this classic favorite. 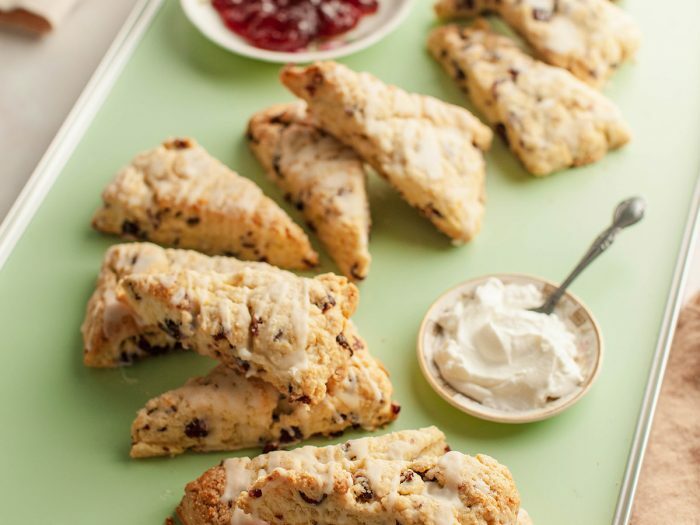 Cranberry, Pistachio and Orange SconesScones are a staple of any winter breakfast, and we promise these cranberry, pistachio, and orange scones won't disappoint. 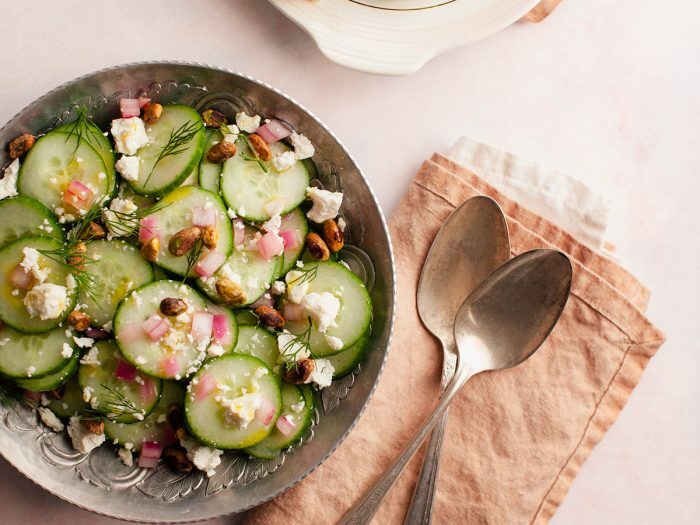 Cucumber Salad with Feta, Dill, Pistachios and Pickled OnionsOur cucumber salad with feta, dill, pistachios and pickled onions is an amazing winter salad - it's got all great qualities that pair with any holiday menu. 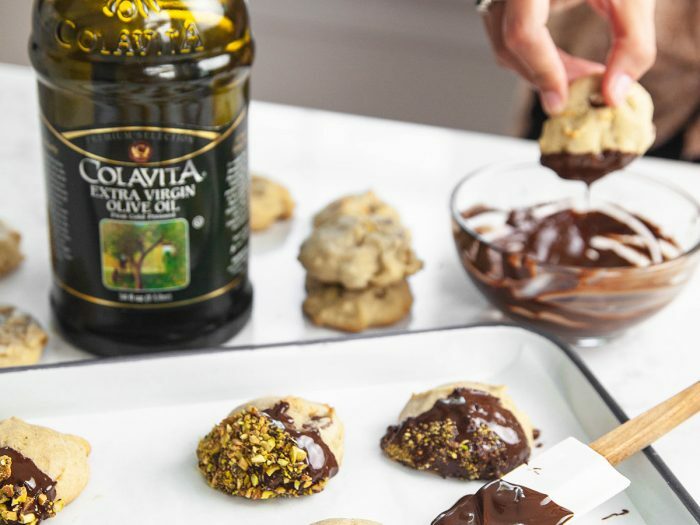 Cannoli CookiesA fun, bite sized approach to the classic Italian pastry are our cannoli cookies! Add these to your kids school lunches and they'll be the most popular kid in the class. 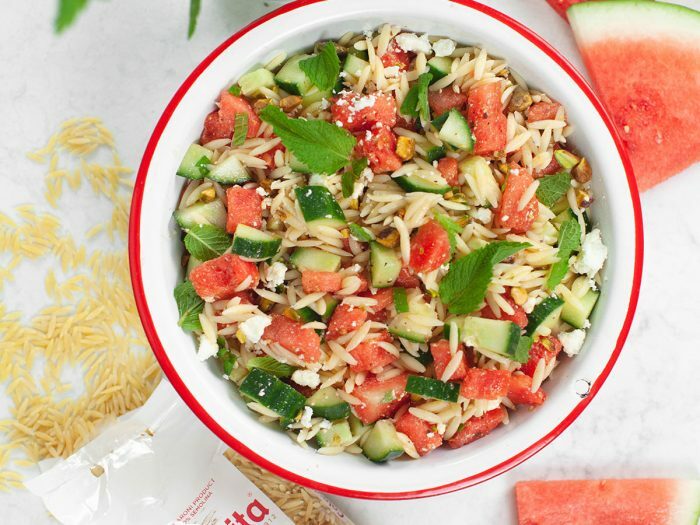 Watermelon Orzo SaladWatermelon, plus mint, plus orzo? Sounds like an incredible combination for a pasta salad! This watermelon orzo salad also features pistachios and our balsamic vinegar for an extra kick of flavor. Quinoa Oat Clusters with Fruit and NutsThis quinoa oat clusters with fruit and nuts recipe is super easy to make. 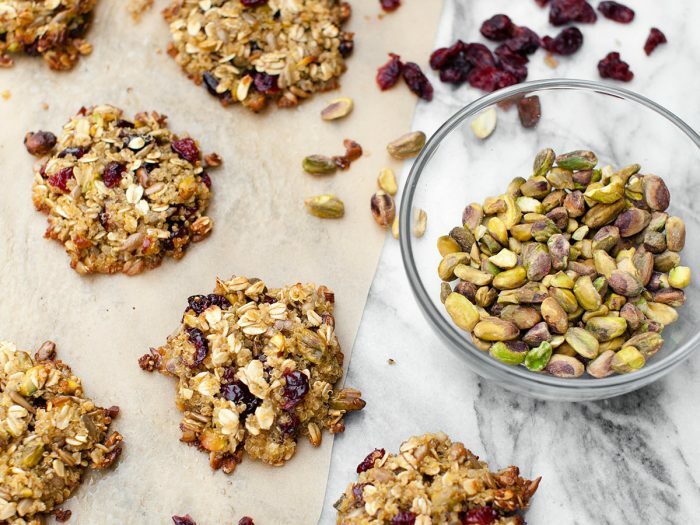 Flatten it, bake, and once it has cooled you can break it up into granola-sized pieces! 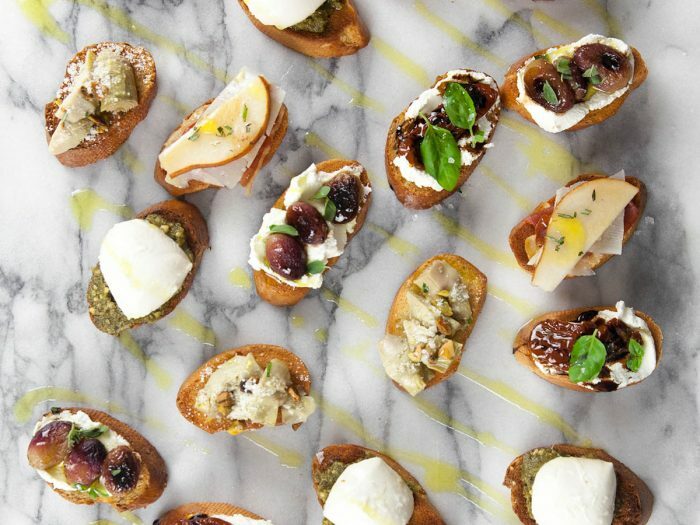 Colorful CrostiniMake your dinner table full of colors and flavor this holiday season with this colorful crostini appetizer. Your guests will thank you! 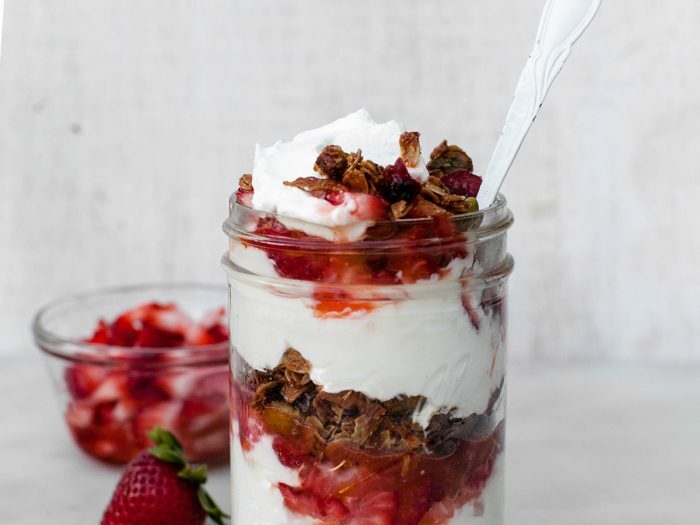 Olive Oil Granola Parfait with BerriesMake some of these granola parfaits on Sunday night, and you'll have healthy grab and go breakfasts all week! Mix up the fruit depending on the season. 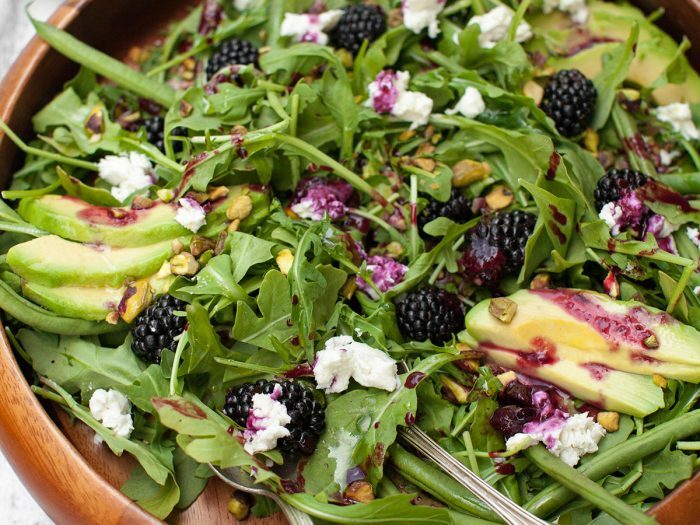 Avocado and Blackberry Salad with Grilled Blackberry DressingBlackberries are great, but add grilled blackberries to your vinaigrette for this avocado salad and you'll have quite the treat! By grilling the berries, you'll add a smoky and warm element to the salad, making it perfect for a cool summer night and the perfect side dish to whatever else you're grilling up. 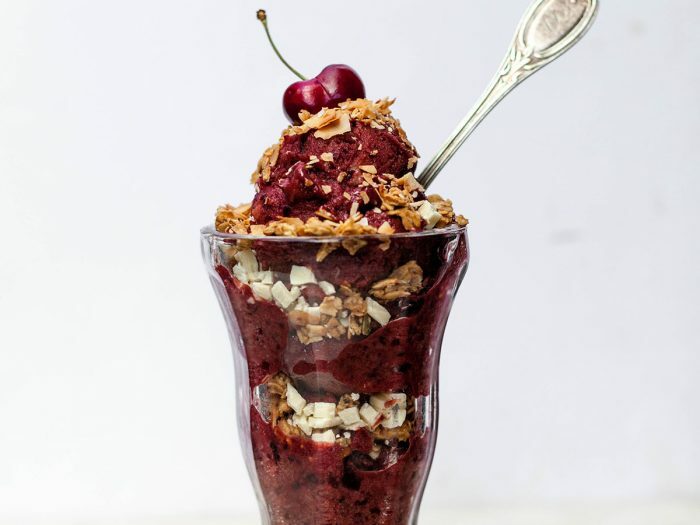 Cherry Banana Nice CreamAll the fun with none of the guilt! Cherries give this dessert it's bright and inviting color, while the banana makes it as creamy as ice cream! Roasted Beet and Goat Cheese Pesto over CavatappiDid you know you can make pesto with so many more than just basil and pine nuts? 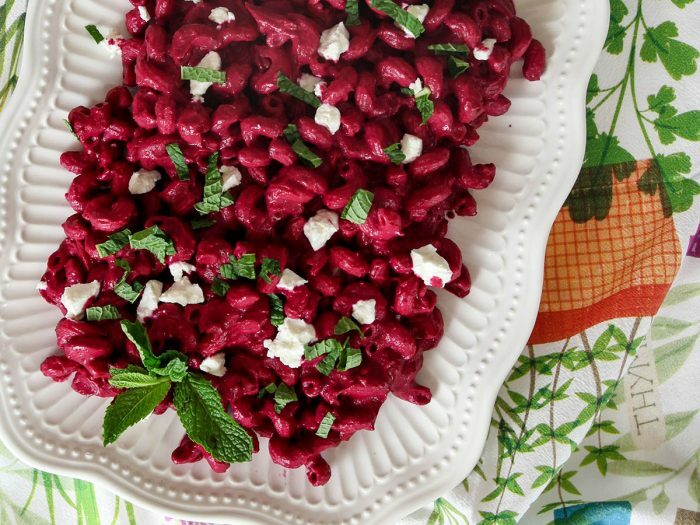 This roasted beet and goat cheese pesto over cavatappi is proof of that!